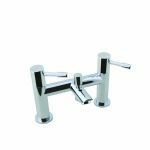 Bring your bathroom or ensuite in to the 21st century with this Milan monobloc bath mixer from Clickbasin which features a rectangular body as part of its very modern design. 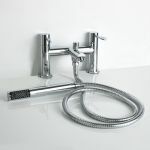 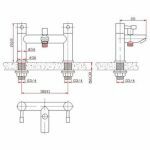 The sleek and modern tap has the addition of a top mounted shower attachment, with hose and shower head included with the tap.. 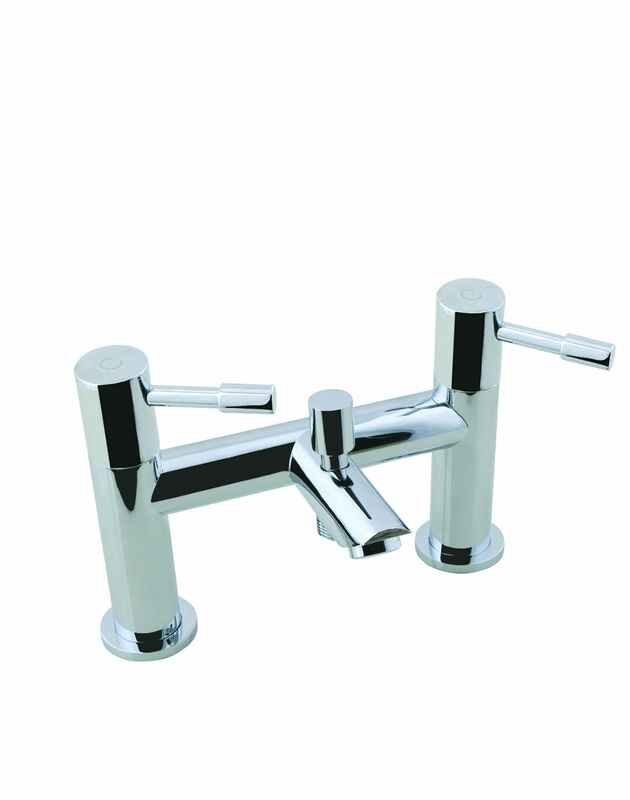 This is a very high quality unit which has been manufactured to the highest standards. It’s a great addition to any modern, contemporary or minimalist bathroom or ensuite setting. 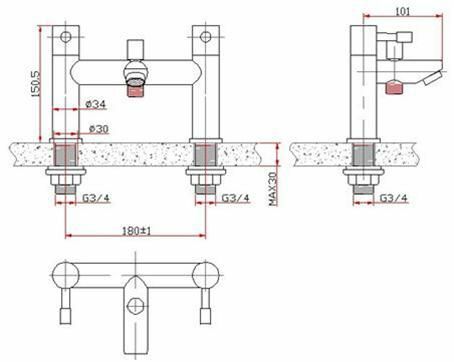 The tap heads are quarter turn for easy use - with temperature markers ( H or C ) on top of each tap head.